Stan Lee was a post-modern alchemist in the comic book industry, however prior to building a stable empire and impressive fortune, he and his staff, produced a fairly large chunk of pyrite, or "fool's gold"! The X-Men is a prime example for how Marvel had many flubs and flops before audiences became sold on characters and stories that today hold almost mythic value for fans. In the early 1970s, the comic industry was ailing and the X-Men had proved to be unpopular to the point that 26 issues were reprints (X-Men #67-93), in addition to a reprint of Beast's origin story in the Amazing Adventures series, as well as two annuals that were reprints of four regular X-Men issues. And so the X-Men with their youthful angst and being mutants with their special endowments was something that was deemed inappropriate for the readers of the era when X-Men launched. Back then, kids weren't considered special, and fathers and mothers knew to beat this message into their children's hides on the regular. Back then, everyone was equal unless you were rich, and standing out from the herd in order to curry special treatment was a queer (and thus awful) thing to do. Being an X-Man was a queer thing to be. But while the visionary, Stan Lee, fought hard to reform the X-Men and make them more attractive for young readers, we saw those beloved characters - Charles Xavier, Jean Grey, Scott Summers, Hank McCoy, Bobby Drake, and Warren Worthington III - undergo tweaks and transformations in their powers and personalities. I have compiled a list of the 12 most significant changes to X-Men characters in this first era of Marvel mutants (1963-75). 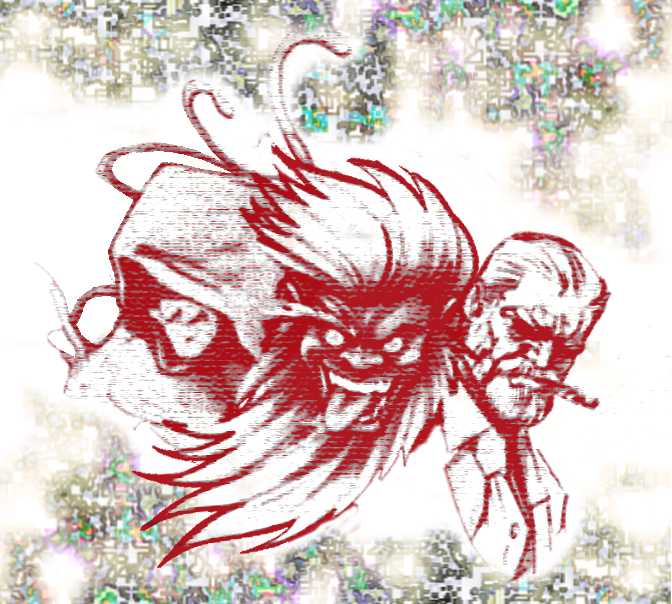 You may find some of the original forms and characterization of these characters quite surprising. 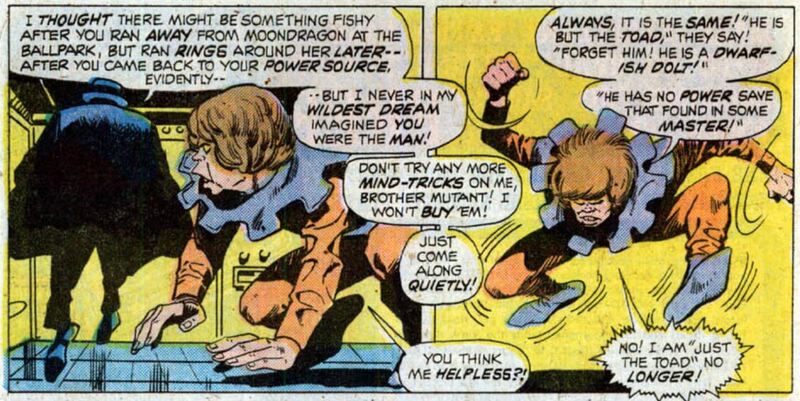 Toad was a founding member of the Brotherhood of Evil Mutants and he was also Magneto's whipping boy. Due to the popularity of Magneto, writers of many Marvel titles were granted an opportunity to create amusing repartee for the pairing as Magneto would lambaste Toad for his fawning uselessness and Toad would cower in fear and beg for acceptance. Originally, Toad had only a simple power to hop over or "stomp" opponents, and this was something done in order to match him against the X-Men's acrobatic Beast. Later, Toad would be granted an array of new impressive powers, the most notable being a psychoactive and paralyzing venomous secretion emitted from his elongated tongue. 11. This will not Stand! We know Charles Xavier to be a paraplegic confined to a wheelchair unless he takes on an astral projection form. 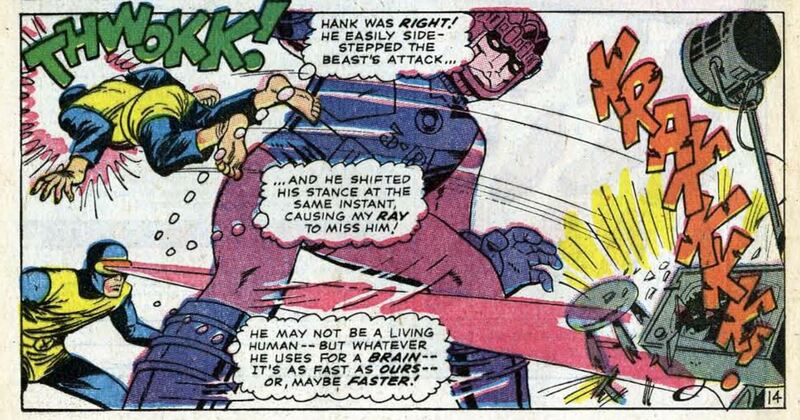 However, for a handful of issues in the 60s the writers decided to grant Prof. X a mechanical leg brace contraption. These mechanical legs allowed Prof. X to be in the field with his students when they battled villains, and sometimes he even wore a costume to gain access to high-security areas. 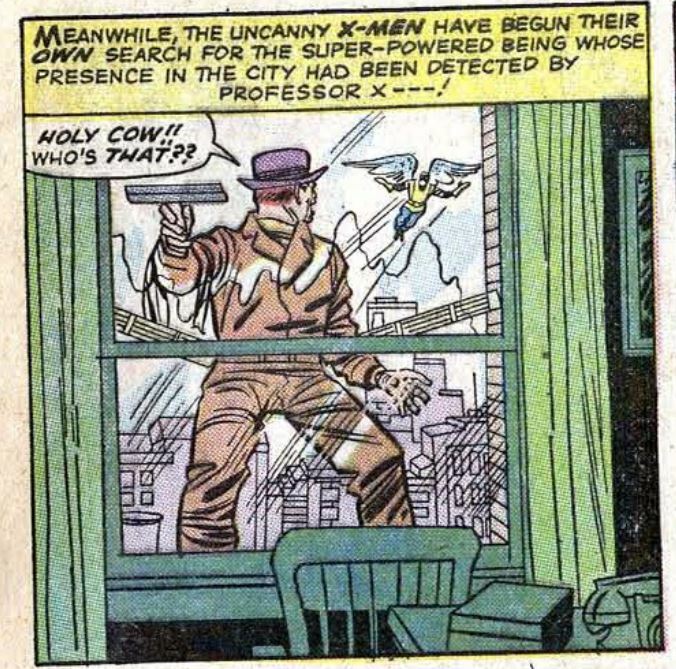 The problem with the leg braces is that Prof. X was already using his vast mental abilities to bail out his students and put everything right at the end of an epic battle. With him also now being physically present, it was an upstaging that started to remind the reader that without the aid of Prof. X, the five X-Men teens were all but useless. Thus, he went back to regular ol'crippled Charles. 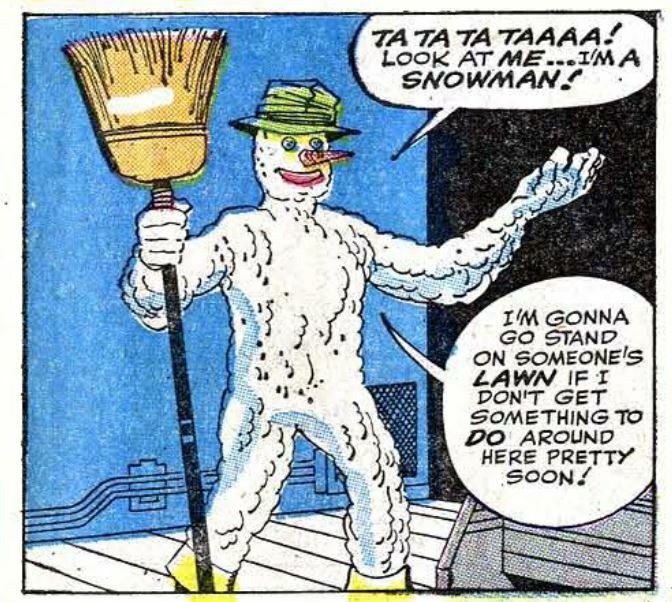 Many fans of the X-Men are already aware that Iceman was originally drawn by Jack Kirby more in a snow form than the familiar ice form. The cover of X-Men #1 is iconic but also signifies the purpose of this list - there were many important changes to the X-Men over time. 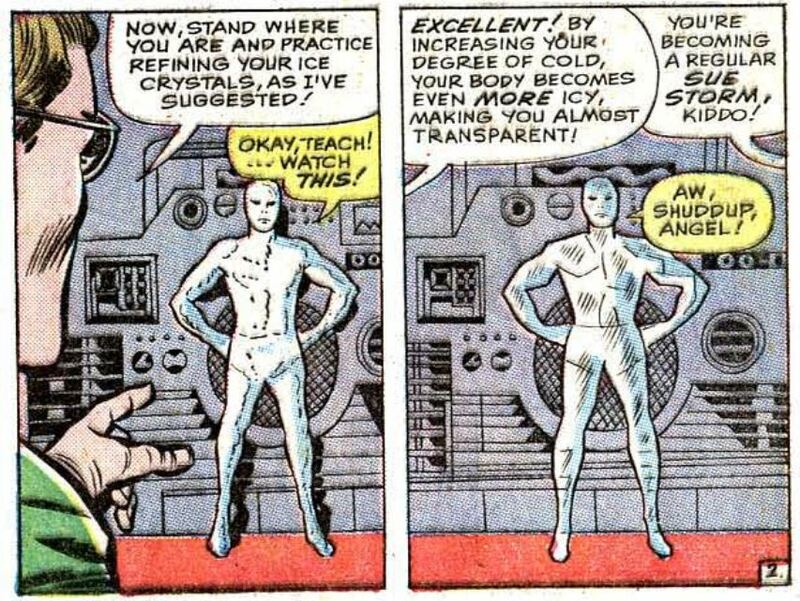 It didn't take long for the decision to be made that Iceman looked "cooler" in his ice form and it was written into the stories as something he was able to achieve through mental concentration and training. 9. Had Never Seen It Before! We now know the X-Men by their familiar nomenclature "uncanny", but many of the first issues of the X-Men used other superlative adjectives such as "astouding" or "amazing". In X-Men #11, the team of mutants were described as "uncanny" and this seemed to stick. Other adjectives were rejected and eventually the introduction to each new issue referred to the mutant team as uncanny until finally the title of the issues became "Uncanny X-Men". We now understand that mutants in the Marvel Universe carry an "X-gene" which is responsible for their varying super-abilities. This X-gene is a straightforward mutation for a world suffering from overpopulation and environmental degradation. Nature has assumed the responsibility to allow a leap forward in evolution in order to preserve the species. However, the notion of X-genes was too sophisticated for young readers in the 1960s and so Marvel fell back on a common political trope - nuclear threat! Mutants, the Hulk, Spiderman, and many others heroes and villains were granted their super-powers ironically through humanity's irresponsible development of nuclear weapons and technology. The powers were a result of radiation exposure to nuclear-based experiments and this narrative conceit became a device for having readers reflect on the folly of developing nuclear weapons. It is odd though because wouldn't every young reader love to have super-powers and isn't this the fundamental appeal for reading comic books about super-heroes? And so wouldn't youth then be encouraged by the development of nuclear weapons if it also held the potential to make the world a more exciting place and even grant the reader amazing powers? Boliver Trask's Sentinels were overpowered and this was noted in subsequent issues featuring the mechanical behemoths. Although Marvel had riddled their issues with lackluster android and robot enemies, Sentinels had something special about them (a unique mandate, I suppose) and so they appeared in other titles such as Avengers and Defenders. However, the Sentinels began so overpowered that writers quickly realized that they needed to curb the abilities of the robot mutant-hunters. The effort to nerf Sentinels was so overt that they went from being quick and agile in X-Men #14 to becoming slow and clumsy only a few issues later in X-Men #16. Later, in other titles and then again in X-Men the Sentinels were sometimes so disorganized physically that they could fall like a stack of dominoes. 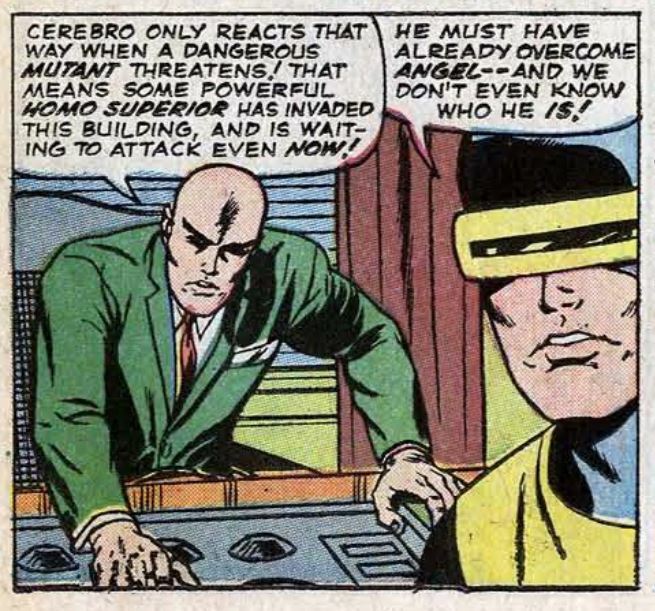 Cerebro is the machine that Prof. X built to track mutants on Earth. Its range seems limited to Earth as in a later issue of X-Men, mutants held on a space station cannot be found by Xavier's machine. We know that Cerebro is specifically designed to track mutants (although in the movies it tracks everyone, just mutants differently). 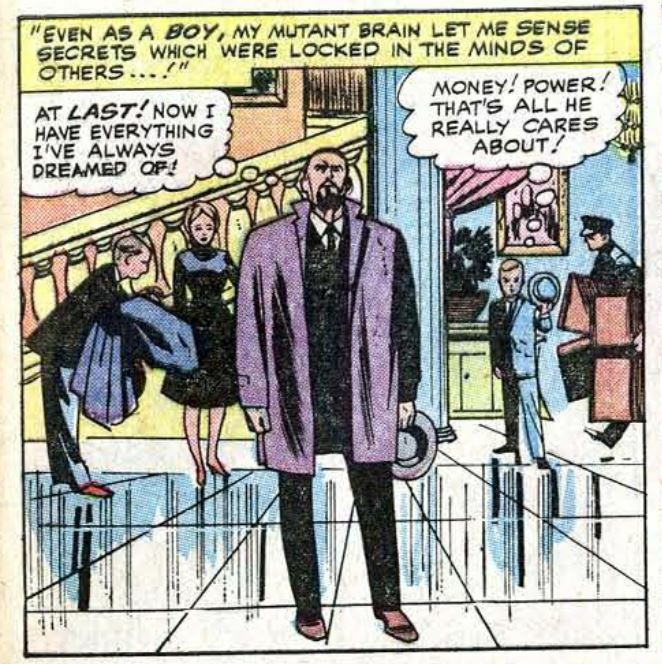 And in all my reading of X-Men comic books I have never known Cerebro to track non-mutants. However, early in the history of X-Men, either Cerebro was busted or the writers were not fully decided on the nature of Cain Marko aka Juggernaut. In X-Men #12, Cerebro is set off by Juggernaut and Xavier explains that a very dangerous "mutant" has been detected. ​Again in X-Men #17 Xavier is clear about Cerebro's function to detect mutants. We know that Juggernaut is not a mutant but is instead an empowered human who discovered mystical power from a gem hidden in a cave in Korea. 5. Baby Mutants or Mutant Babies? I understand typos in published literature and they appear often in comic books where issues are often rushed to press. There are also moments where guest writers forget the real names of characters and you may see Angel being called "Scottie" by Jean, or something similar. However, these flubs should usually be one-offs and it is a little weird that Bobby Drake aka Iceman was named "Bobby Blake" in several issues. Perhaps the character was based on someone these artists and writers knew with the last name "Blake", perhaps the alliteration was too tempting in some Freudian way, or maybe they were testing reader reception for the new name? It's hard to say, but the original surname of "Drake" stuck. There were changes right off the bat for the X-Men. 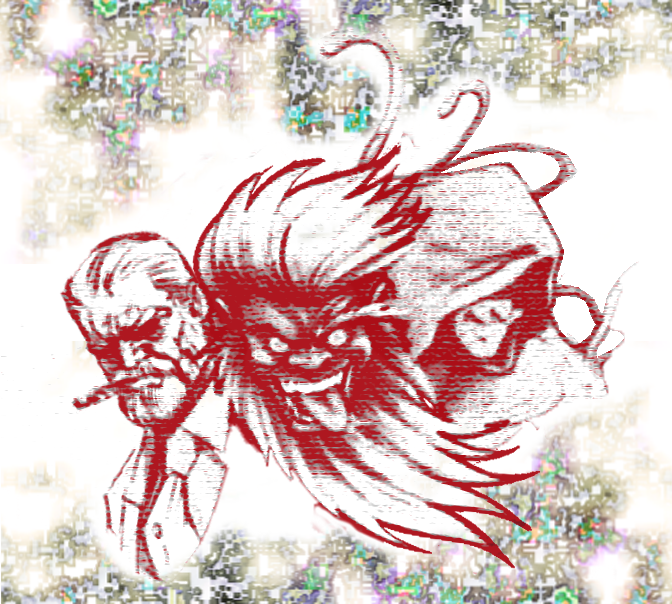 There was the aforementioned Iceman snow-form tweak, but something that was altered even more rapidly was Beast's personality. In X-Men #1 it is clear that Henry McCoy lives up to his super-hero name - he is intellectually dumb and also obtrusive with his gargantuan frame. 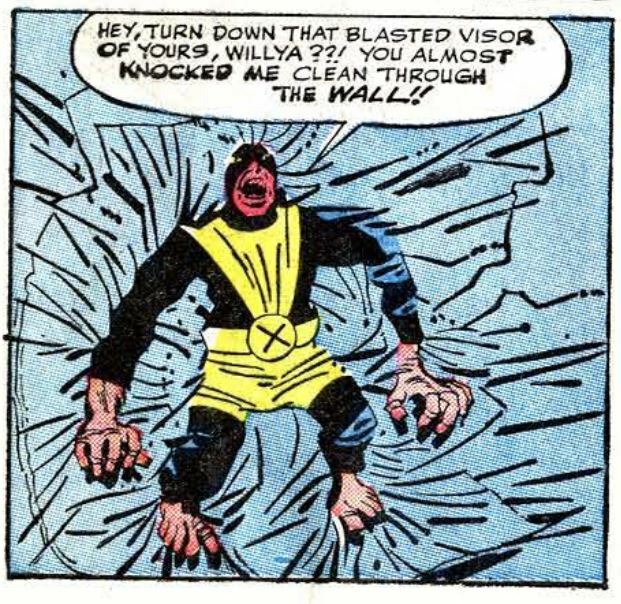 He is the first to make an awkward pass at Jean Grey when she arrives at Xavier's mansion, and in the Danger Room he whines like an ape would when injured. 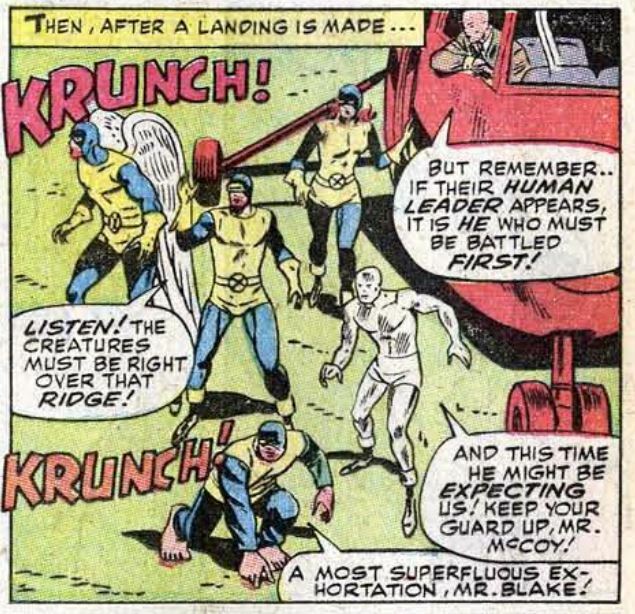 Almost immediately after the first issue, the Beast had his characterization altered radically and he became the smarty-pants in the X-Men group. He became known for his high-diction and esoteric quips. In fact, this was a major misstep by Marvel. I assume that they wanted product differentiation at the start because the Fantastic Four's Thing was crude while the Defender's Hulk was relatively stupid - they didn't need more big guys that were slow on the uptake. The problem is that Beast with his refined intellect was not funny or charming but instead was annoying and pretentious (an accusation this author wrestles with often!). 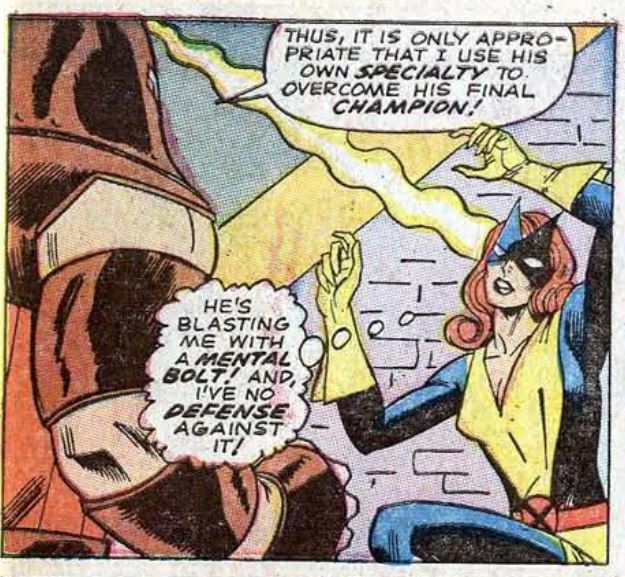 The other X-Men usually teased him about his esoteric language more than praising or fawning over his intellectual achievement, but still for a young reader (or older for that matter), Beast was just irritating. Based on Storm's powers, I suspect that the intention from the early 60s was to reboot the X-Men at a later time with an array of exciting new members. In addition, Magneto had rightfully proved to be an incredible foe for any superhero team in the Marvel universe. Therefore, Marvel had to adequately redeem the original X-Men and repair the mutant thread in their universe. This was done in several important ways. Firstly, once the X-Men series was on reprint in the early 1970s, Beast had half a dozen issues of Amazing Adventures dedicated to the story of his transformation from an atavistic man to the furry monster we have come to love and appreciate. 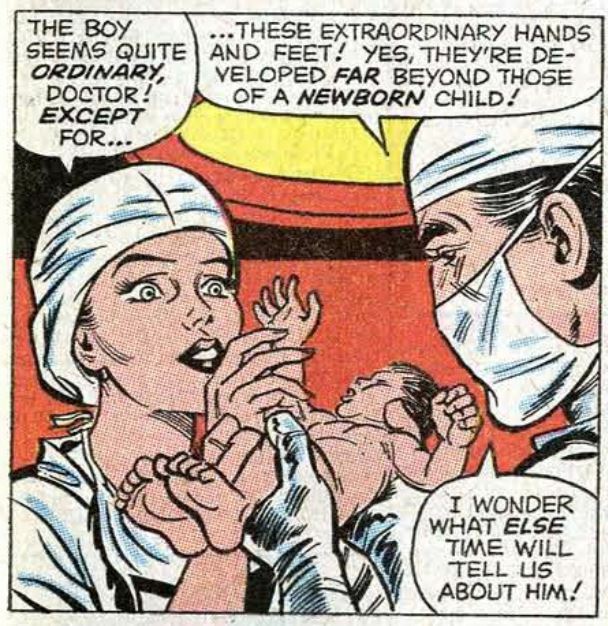 There were some problems with this storyline, in that Henry McCoy was using his serum (which transformed him) to make people into mutants temporarily. This is not intuitive for McCoy who would more likely have been devising a "cure" for being a mutant. Also, although the reception of the new form of Beast was good, during the Amazing Adventures run, the writing and art team decided to change his fur color from grey to "black" (but it showed as the familiar navy blue). The writers were also very clear - the Beast had normal intellect. Slowly over the years, Hank McCoy would regain some of his intellectual prowess but as he joined the Avengers and became a staple member of that team for several years, his banter was witty and not ostracizing, and he became known for his silly quips ("oh my stars and garters") as opposed to his obnoxious rhetoric (if only I could pull that off!). Now we know him as "Dr." McCoy and readers accept that Beast is more intelligent than most people. It is a bitter irony for him because the man looks like a dumb beast of course. Originally, Magneto was Magnus and he had mental abilities. In fact, it was written that Magneto was the second most powerful mutant mind in the world (only after Charles Xavier, of course). Magneto was telepathic and able to battle Xavier in astral form. 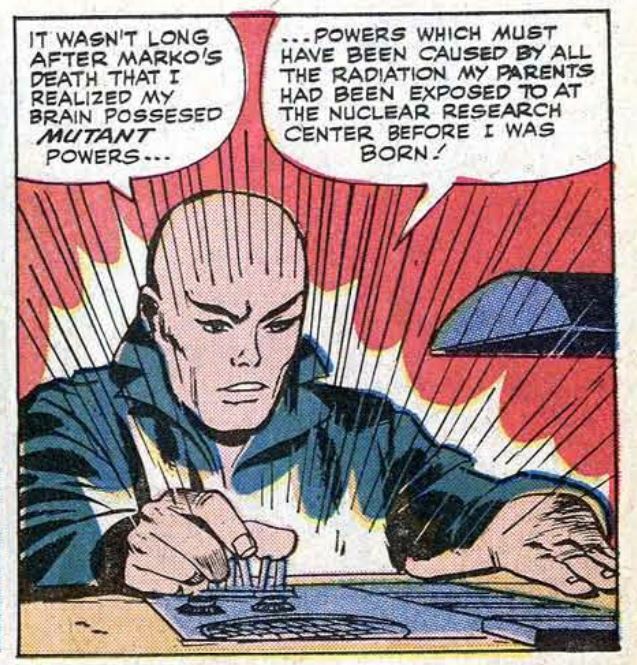 Marvel dropped this trait for the arch-villain (who was already over-powered) and instead gave him some limited mental abilities related to his control over magnetic forces as well as what he had developed through personal experience and training with Charles Xavier when they were once allies. 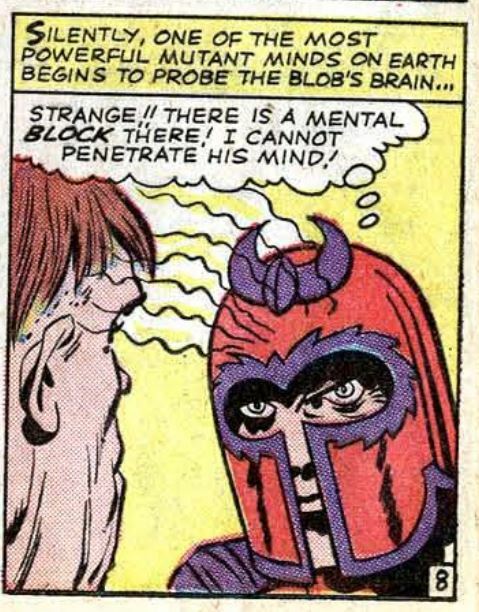 I guess originally Stan Lee felt he needed to set up a way for Magneto to present a real threat to the X-Men and this wasn't possible if Prof. X could simply control Magneto's mind. 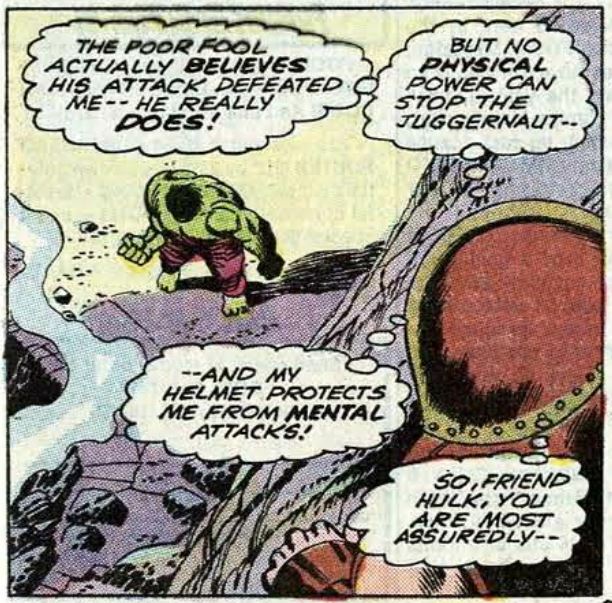 Later, for Magneto and Juggernaut, the helmet became a critical object and it was explained that the helmet protected the villains' minds from Xavier's probing and that of any other telepath. We all know that Scott and Jean go way back to the start of the X-Men and their love was budding even during their introduction at Xavier's mansion. Unfortunately, Scott's meek personality allowed Warren (Angel) to elbow his way in and for several issues Warren was attempting to court Jean while Scott was sidelined as a social recluse. During the Warren-Jean courtship, we learned that Jean had strong feelings for Scott and hoped that he would reciprocate in time by making the first move. It was a rather hackneyed romantic subplot but proved effective over time and eventually that tension between Jean and Scott grew in order to become critical for the development of the Dark Phoenix saga as well as the Inferno storyline. Even in the 1990s when the popularity of the X-Men led to a new series and the large team of mutants were split into "gold" and "blue" factions, Scott and Jean were also split up, thus creating more dramatic tension for the couple. To make the romantic subplot in the 1960s work a few things had to be put in place and to do so Jean Grey's powers as Marvel Girl had to be extremely limited. Professor X had to save the day at the last minute therefore Jean couldn't have her mental powers. Magneto was granted mental powers therefore it didn't make sense for Jean to have any because then pretty much half of known mutants were telepaths. 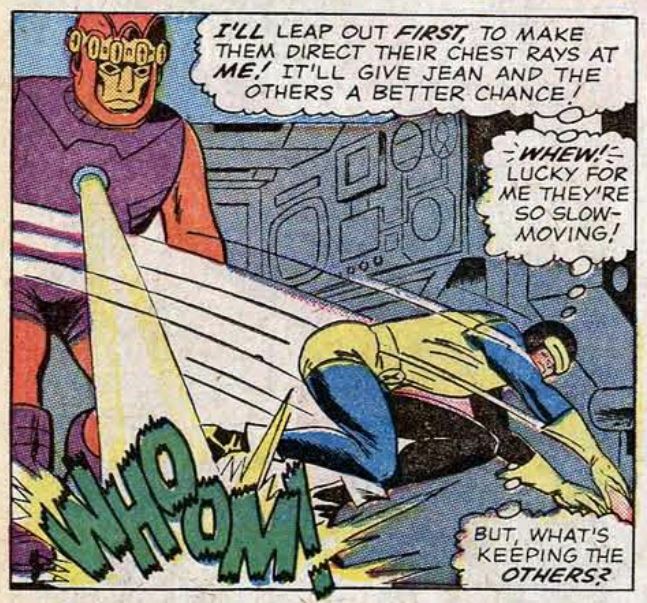 Jean couldn't be telepathic at the start otherwise she would have known about Scott's affections. In fact, Jean's established power of telekinesis had to be fairly weak so that Warren could white knight in the field as Angel and be the one to carry Marvel Girl to and from battle. The whole thing was kind of hokey while nerfing Jean was perhaps a mistake for the X-Men's popularity at the time. It was a mistake that was eventually corrected in a major way. And I have to say that Jean going from the weakest X-Man (she would use her telekinetic power to pull villains' capes over their heads as a distraction) to one of the most powerful beings in the universe (as Phoenix) was an exciting adventure. 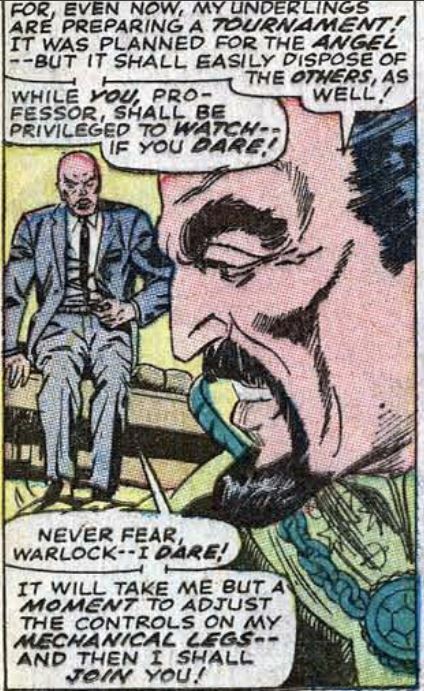 However, once her psychic abilities first began manifesting (in the issues from the 60s) they were chalked-up as having been endowments from Prof. X - basically, he had "given" his power to Jean once he thought she needed it because he was going into hiding from a cabal of powerful enemies. That endowment part made little to no sense for me, but over time it was forgotten and fans could just pretend that Jean was a "late bloomer" among mutants.